When your broadcast is over, you can hang on to the footage. Instagram first revealed its take on livestreaming back in November and has continued to roll out the feature around the world in early 2017. 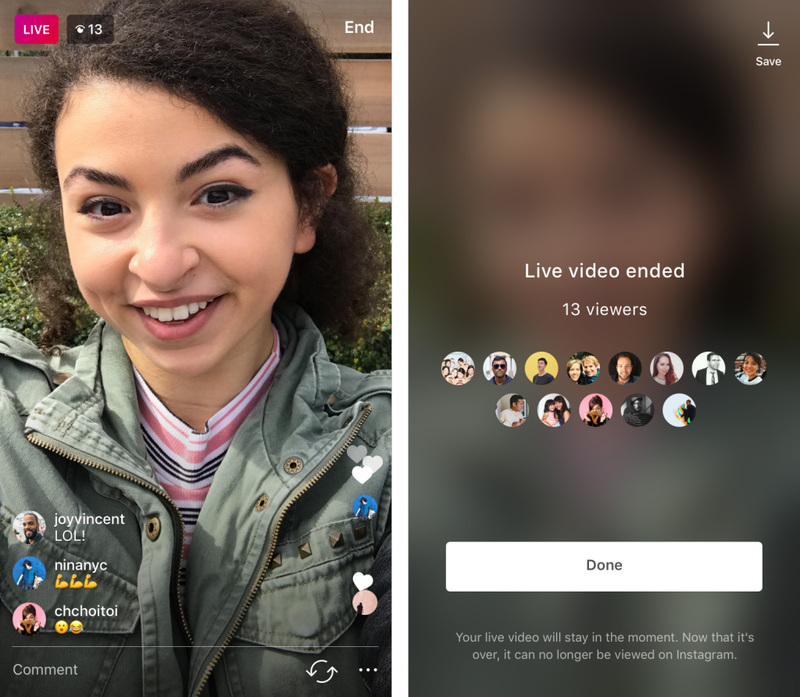 Today, the social network announced that users can now save that live footage to their phone after the broadcast is over. Yes, the Live Stories will still disappear from the app when you complete the stream, but in the event something worthwhile happens, you now have the option to archive the footage for yourself. There's a new "save" button in the top right corner of the screen after you finish a live session. Instagram explains that you can only take the video with you without any of the likes, comments or other interactions. As you might expect, the file is saved to your camera roll for easy access. Facebook Live already allows users to save videos for later, so it's not really a surprise that Instagram would add the ability to do the same. The company says the save function is now available inside both the Android and iOS versions of the photo app so you shouldn't have to wait to use it.